Learn more about the March 2013 issue here. 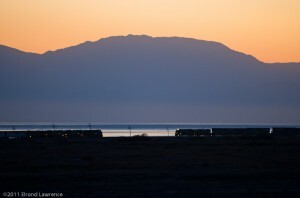 As a bonus, check out an online gallery of 10 Salton Sea railroading pictures by clicking here. 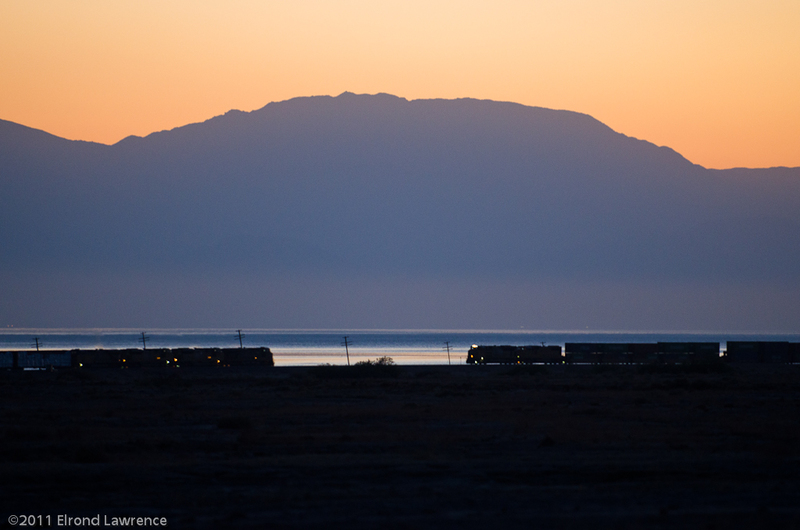 And to learn more about the Sea, visit the Salton Sea History Museum and Visitors Center. I was intrigued by the Switch & Signal “searchlights” in your article. I know what a searchlight is but you describe them “iconic” and “emerald”. Exactly what are they and their purpose for railroading? Thanks for a reply. Thanks for the note, Bob. 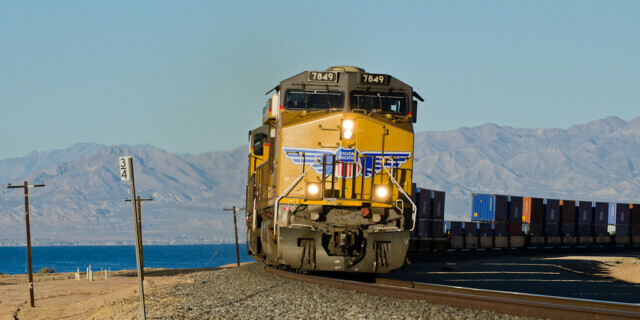 We refer to the old US&S signals as “iconic” because they have been in use for over 50 years along the sea. They were once commonplace on SP, UP and Santa Fe lines, and many entered service during the steam era. But they’re finally being replaced by new signals. The “emerald” mention at the end of the article refers to an evening we spent beside Bertram siding, and the marvelous sight made by a searchlight signal as it lit up in green for an approaching train. While that specific photo didn’t appear in the article, I hoped readers would enjoy the word picture.